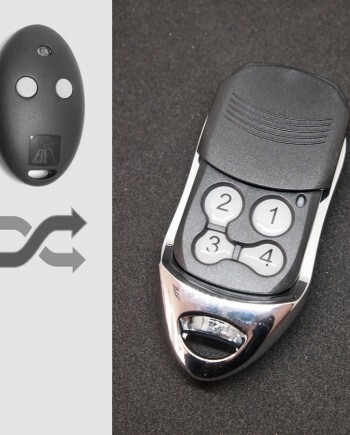 An aftermarket compatible remote, perfectly replaces your plastic LiftMaster remote control, works where LiftMaster 4330E, 4332E, 4333E, 4335E works. Wondering if it works same as LiftMaster 4330E, 4332E, 4333E, 4335E remote? Watch our video showing how we program it to LiftMaster standalone receiver. 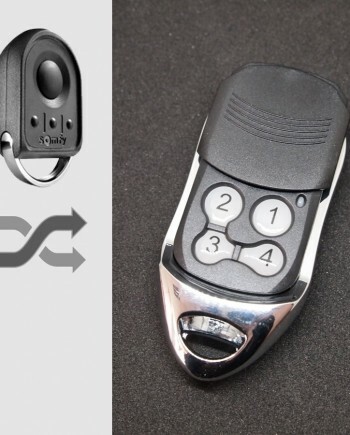 Our LiftMaster #U1 compatible remote replaces many LiftMaster remote control models including genuine LiftMaster 4335E key fob remotes, as well as other LiftMaster remote models such as 4330E, 4332E and 4333E wall mount remotes etc, it also works with LiftMaster radio remote systems using 433.92 MHz billion code technology, or even models under other manufacturer brand, such as Chamberlain, Motorlift, Wickes and Screwfix remote control, they are under similar model number such as 4330EML, G4330E, G4330, 4332EML, G4332E, G4332, 4333EML, G4333E, G4333, 4335EML, G4335E, G4335. Compatible LiftMaster door operators includes suitable for all Chamberlain, Catnic, Garador, Wickes, Motorlift and Screwfix remote control systems supplied between 20001-2004 in Europe, as well as other standalone receivers made by LiftMaster Europe. 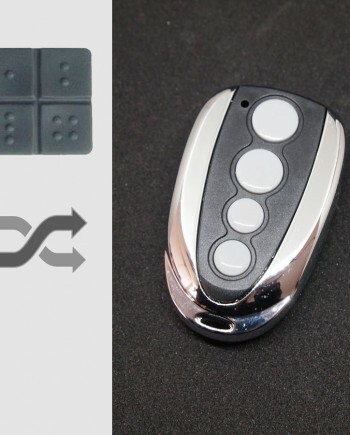 Not compatible with some other LiftMaster remote control models using old 27.145 MHz frequency, such as 750E, 751E, 752E, 754E remotes, or 418 MHz frequency, such as 4180E, 4182E, 4183E, 4185E remotes, or latest rolling code remotes model number start with 8 or 9, such as 844XE or 944XE. LiftMaster remote controls are made by The Chamberlain Group, Inc., a manufacturer of some of the world’s most reliable, efficient, and cost-effective home control products, Chamberlain is determined to build its established reputation as the industry leader, Chamberlain is most famous in USA, and not so popular in Europe, it mainly uses LiftMaster brand in Europe. Based on our marketing research, the best-selling LiftMaster remote control models are LiftMaster 433XE series and newer LiftMaster 9433XE series. 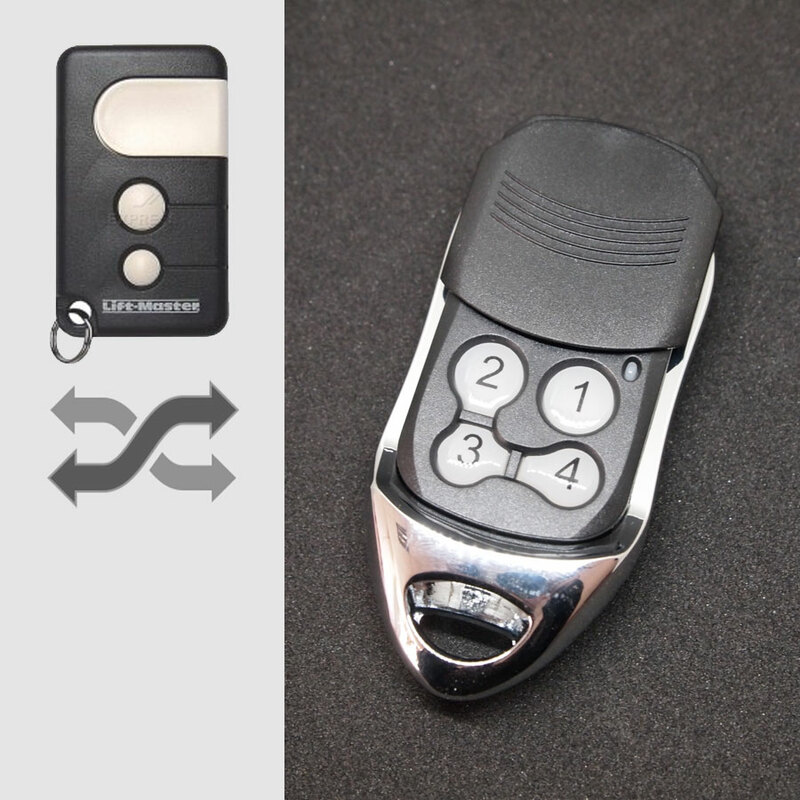 LiftMaster 4335E is a four button key fob style remote for carrying around, it uses 433.92 MHz billion code technology for improved security, also there are wall mount versions with larger buttons, namely LiftMaster 4330E, 4332E and 4333E. 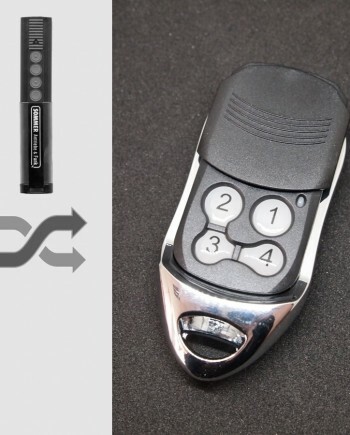 LiftMaster 433XE remotes was used from approx. 2000-2004 and are no longer supported by LiftMaster official, the remotes can control the motor units with suffix GB, 433 or EGB-433. 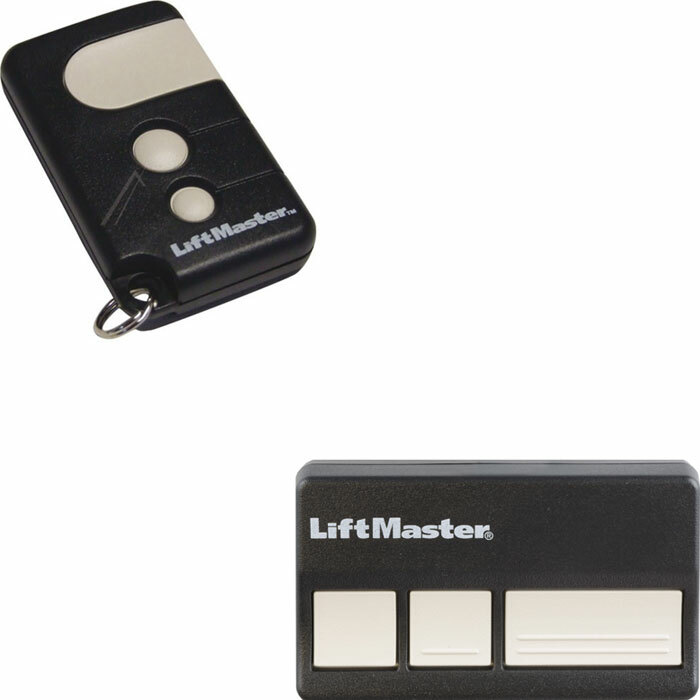 LiftMaster brand remotes are widely used in European countries, such as Germany and UK, so there are many locksmiths, garage door opener & gate remote dealers need LiftMaster remote controls in this region. 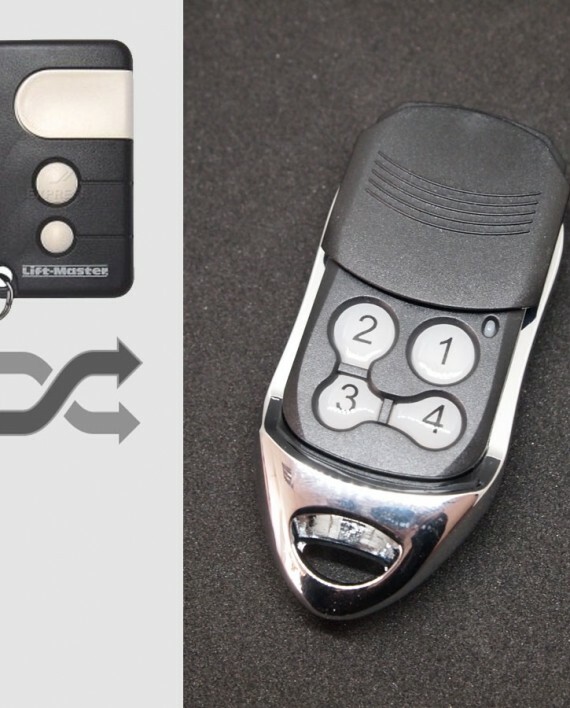 Official LiftMaster 433XE remote control programming guide is missing on LiftMaster website, you can find it on your door opener’s owner book, link to 3rd party manual is here. Watch programming video for LiftMaster 433XE on YouTube, our replacement remote works the same as genuine LiftMaster remotes, so they share the same programming procedure. We make LiftMaster 433XE compatible remote in our factory in China, so we know our products better than anyone else in the world. 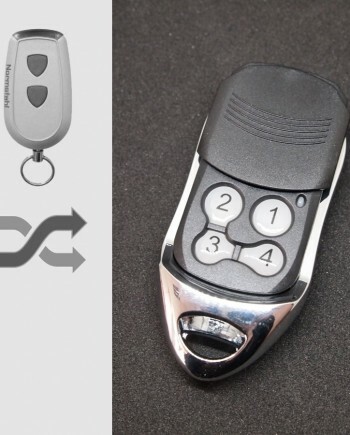 We’re confident in our engineering team & quality control, actually our LiftMaster compatible remote uses the same key components as genuine ones. 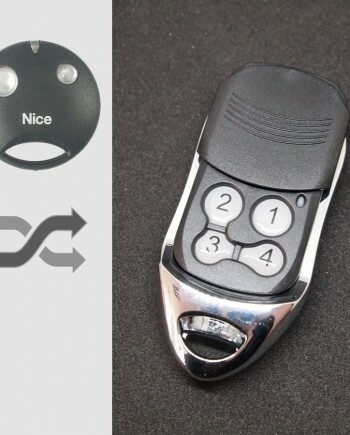 Comparing our factory-direct low price with high price of genuine LiftMaster remote, you can have considerable profit by selling our products. * Our LiftMaster compatible remotes are white label products with optional logo printing service for bulk orders.